Feeding America West Michigan just finished up its third record year in a row, distributing 27.6 million pounds of food in 2015, the equivalent of 22 million meals. That’s an increase of 1.1 million pounds over 2014. Not only did total distribution increase - distribution of fresh fruits and vegetables grew from a quarter to more than a third of the food bank’s output. A large part of that growth can be attributed to the expansion of the food bank’s Mobile Pantry Program. In 2015, Feeding America West Michigan received a grant from the Michigan Health Endowment Fund to bring Mobile Pantries to schools and senior centers throughout West Michigan and the Upper Peninsula. 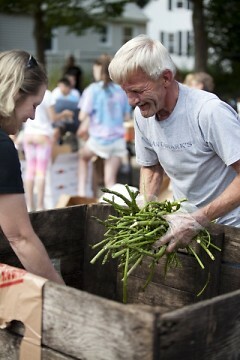 Each Mobile Pantry provides fresh produce, dairy products and baked goods to between 100 and 200 households. Requiring little more than a parking lot and a few volunteers, Mobile Pantries are ideal for serving rural and urban communities that lack traditional food pantries or accessible grocery stores. 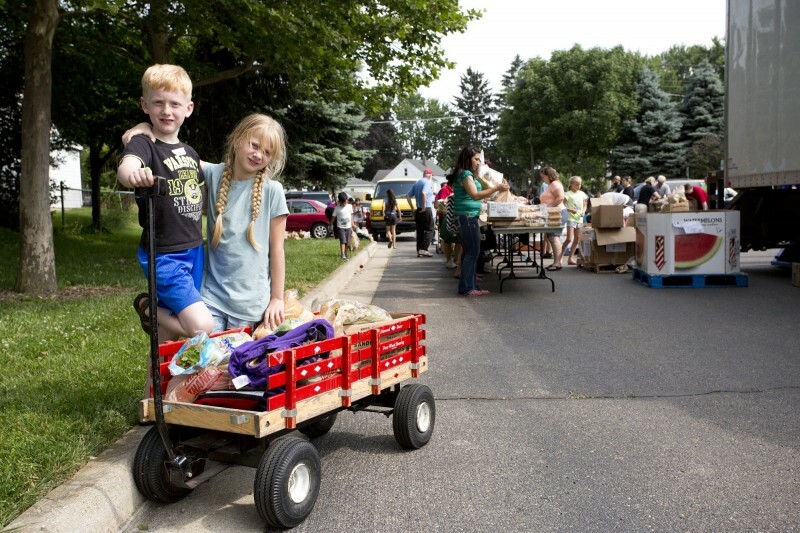 In all, Feeding America West Michigan conducted 1,600 Mobile Pantry distributions in 2015. Estelle is pushing to increase that number this year, particularly in the Upper Peninsula, where need is high and local resources scarce. “We’ve seen what can happen when communities are united on the issue of hunger,” Estelle said, pointing to Wexford County, where the Cadillac Area Community Foundation and the Cadillac Rotary Club have underwritten the food bank’s Mobile Pantry Program for years. Other standout supporters of 2015 include the Fremont Area Community Foundation; United Way offices in Ottawa County, Southwest Michigan and Sault Ste. Marie; the Upton Foundation and the Walmart Foundation. The year also saw enthusiastic support from individual donors, with online giving growing by 23 percent.